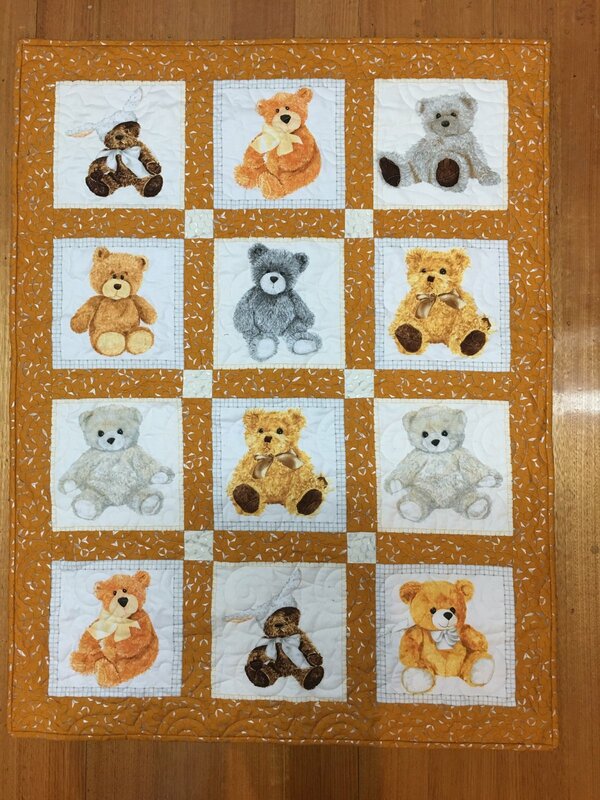 100% cotton cot sized quilt. Machine washable. Handmade in our studio.